The Enterprise Mill was renovated by Augusta Tomorrow, Inc. board member Clayton P. Boardman III as a mixed-use development. Enterprise Mill was originally built in 1877 as an expansion to the original Colemans Granite Flour Mill built in 1848 and the oldest surviving structure on the Augusta Canal. In 1875 the Augusta Canal was enlarged, and the Mill was expanded to house the Enterprise Manufacturing Company, the first large-scale textile mill to use the Canal’s increased water power. The mill continued to operate until it closed on March 23, 1983. 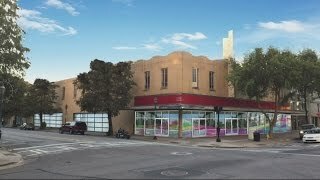 Although not a specific project in the Master Plan, the renovation was inspired by downtown redevelopment. 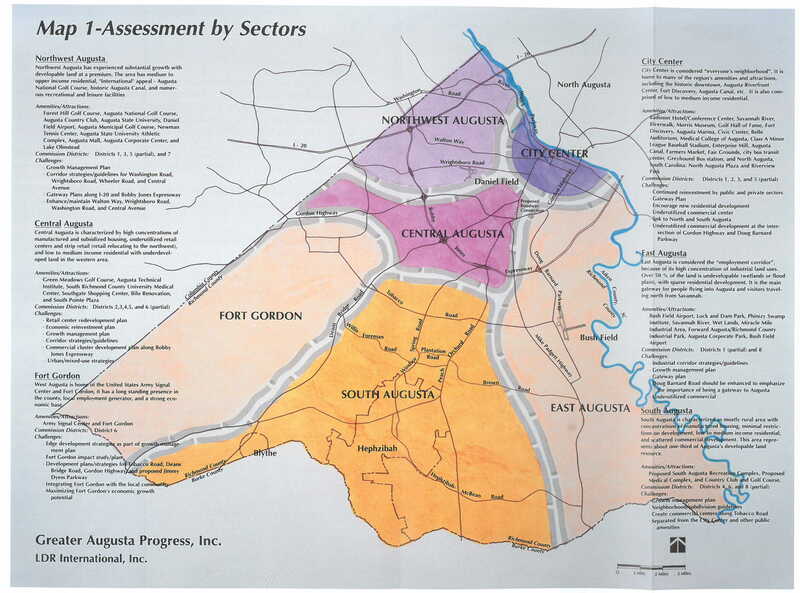 • A new way of looking at Augusta-Richmond County – by geographic sectors. • Strategic growth and development patterns in the county. • Development of “city center” and “everyone’s neighborhood” as new ways of referring to Augusta’s downtown. 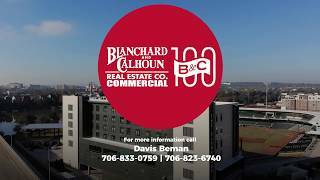 • The understanding that Regency Mall needed redevelopment and that adaptive reuse of this substantial real estate asset in South Augusta was very important. • An action agenda to implement the strategies outlined in the report.